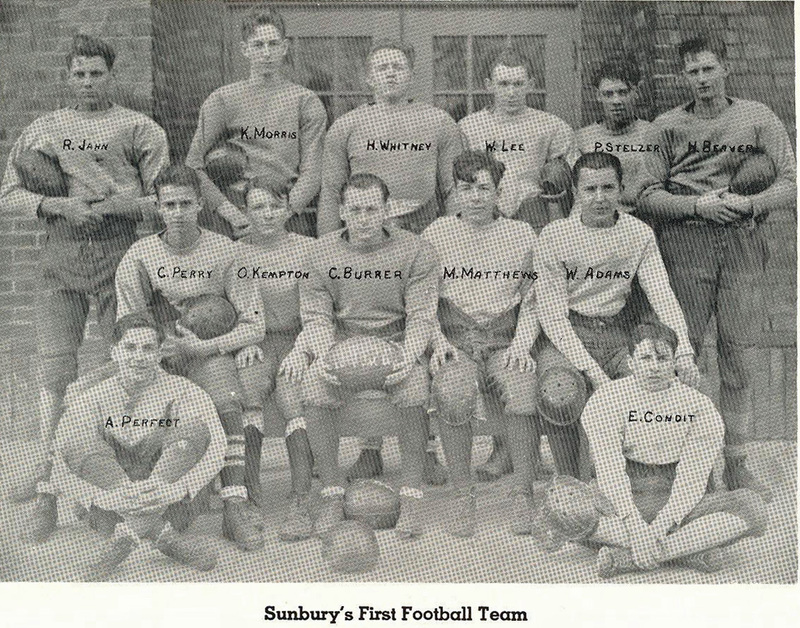 Yearbook . . . .
Pictured above is the first Sunbury High School football team in 1926 and it took a lot ot finegeling to get it. 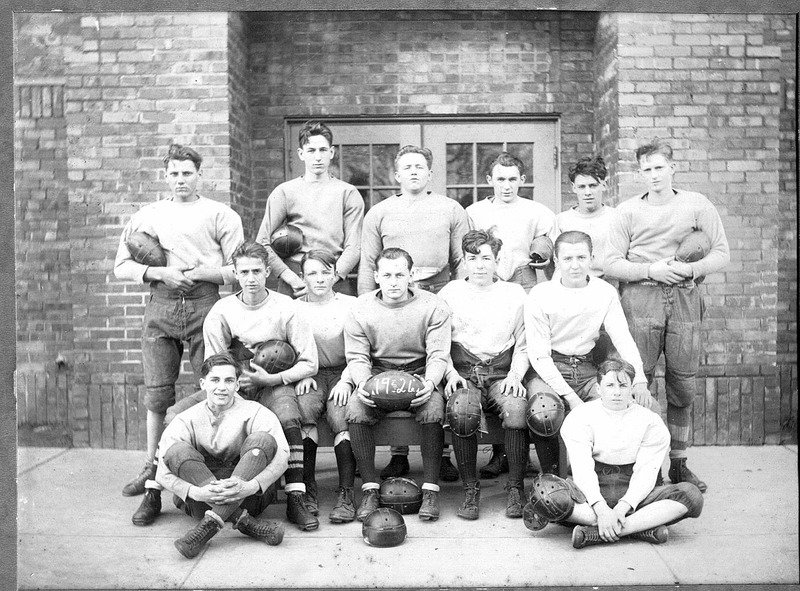 Galena had a team and had been playing since 1923 when their football team had a 35-0 record under Coach Lybarger. For some reason Sunbury’s board rejected the idea. Bill Whitney was the older brother of Hoyt who was one of the boys who really wanted to play. 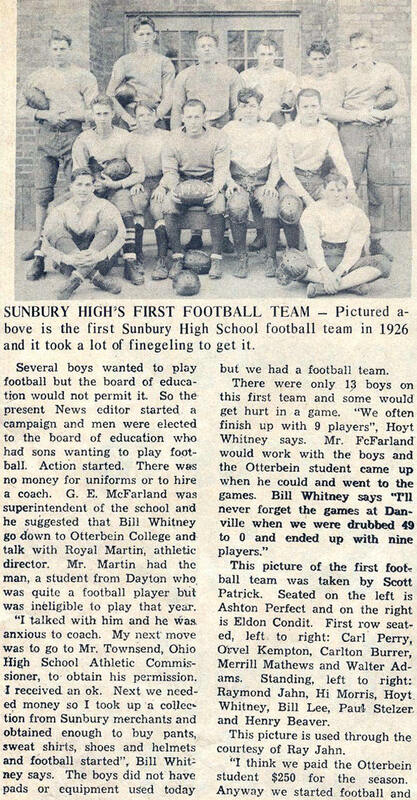 Bill recalled the events which led to Sunbury’s first football team in a Sunbury News article published June 30, 1966. Most of the players from the team stayed in Sunbury and became backers of future football teams. They would have been proud of the boys in the 2007 team who won the State Championship.